Dirty sliding glass door tracks can make it difficult to open and close your door with ease. They are somewhat difficult to clean because their shape and location collects dirt and debris. Cleaning them on a regular basis can help reduce the amount of built-up dirt and grime and will make the door easier to maintain. 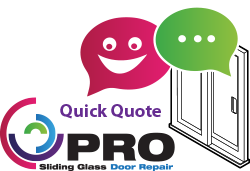 Most homes we visit require some kind of track cleaning in addition to replacing worn or corroded rollers. 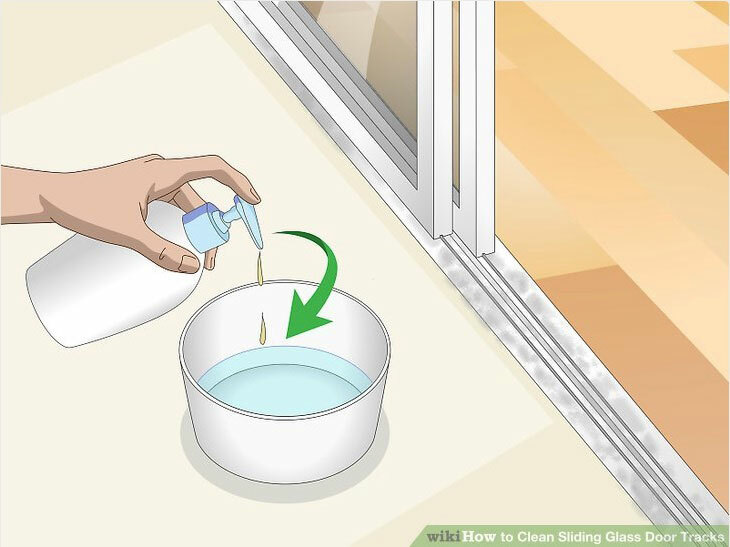 You can clean your sliding glass door tracks with basic kitchen cleaners or you can use a vinegar and baking soda mixture to pick up stubborn dirt. How often you clean depends on the amount of traffic you have and how exposed the tracks are to the elements including pet hair, debris, dust and so on. 1. Open the door and vacuum the tracks. Use a vacuum attachment to reach into the corners of the tracks. Try to lift up any larger pieces of dirt or debris so that it’s easier to complete the rest of the cleaning. 2. Mix 1 cup (240 ml) of water with a drop of nonabrasive cleaner. Put a couple drops of cleaner, such as Murphy Soap, denatured alcohol, or dish soap, into a bucket with a cup of warm water. Mix the solution together. 3. Scrub the tracks with a wire brush and cleaning solution. If you don’t have a wire brush, you can use a toothbrush instead. Dip the brush into the solution and scrub on the inside of the tracks. Work your way from one side of the tracks to the other and concentrate on problem areas where there is stuck-on dirt. 4. Wipe down the tracks with a rag or paper towels. Once you’ve scrubbed the tracks, wipe them down with a paper towel or dry rag. Remove any traces of dirt in the tracks. 5. Close the door and vacuum and scrub the other door’s tracks. 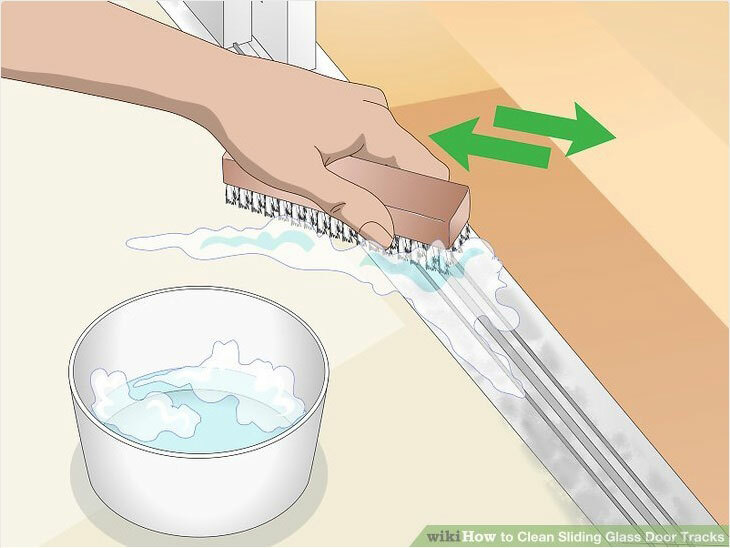 Slide the door closed and vacuum and scrub the other door’s tracks to complete the cleaning. Once you’re done, your tracks should be cleaner. Clean your tracks often to keep your doors running smoothly. A simple cleaning will help keep dirt and grime out of your tracks and will keep your door working smoothly. Don’t let dirt build up in your tracks.